Susan Shapiro, PhD RN FAAN, will retire from Emory in June after a distinguished 45-year career in nursing. Prior to joining Emory in 2010, Dr. Shapiro made significant contributions to emergency nursing and was an early adopter and champion of evidence based practice. Since joining Emory, Dr. Shapiro has focused primarily on bridging academic and clinical nursing through joint appointments as associate corporate director for nursing research and evidence-based practice at Emory Healthcare and associate dean for community and clinical partnerships at the Nell Hodgson Woodruff School of Nursing. In her joint appointment, she worked with clinical nurses and School of Nursing faculty to build a nursing research program across Emory Healthcare, assisting Emory hospitals in their journeys toward Magnet designation, the nation's "gold standard" for nursing excellence. 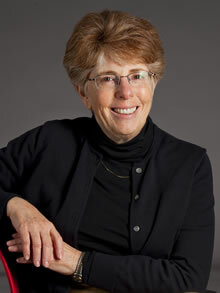 "Dr. Shapiro's leadership and evidence-based practice innovations in health systems nationwide have helped bring nursing to the forefront in advancing health care and achieving a higher-functioning, more patient-centered health system," said Linda McCauley, PhD, RN, dean of the Nell Hodgson Woodruff School of Nursing." She improved health care delivery and patient outcomes through the development of numerous clinical and academic partnerships to with Emory Healthcare nursing, Emory Healthcare clinics, Emory's School of Medicine, and Rollins School of Public Health, and played an instrumental role in Emory's collaborations with the Georgia Institute of Technology. Shapiro had an adjunct research appointment at the Georgia Institute of Technology, where she played a key role in several projects, and served as associate faculty for the school's popular Healthcare Design of the Future course. She provided clinical insight and guidance for researchers in Georgia Tech's SimTigrate Design Lab, focused on engineering, designing, and creating of facilities, products, and systems that support better health care outcomes. Shapiro was instrumental in expanding the Accountable Care Unit (ACU) model throughout the Emory Healthcare system. This unit-based interdisciplinary care model, managed jointly by nurses and physicians, emphasized shared decision making with patients and families; teamwork; and transparency. Securing funding through a $1.5 million cooperative award from the Health Resources and Services Administration, Shapiro's project helped to establish the model in seven units at three Emory healthcare facilities, including Emory University Hospital, University Hospital Midtown, and Emory John's Creek. She has published extensively on a wide variety of topics including emergency nursing, health systems, clinically based nursing research, and clinical decision tool development and evaluation. Her work has been published in several renowned publications, including the American Journal of Nursing, Journal of Nursing Administration, Western Journal of Nursing Research, and AAOHN Journal. Her article, "Clinical Decision Rules as Tools for Evidence- Based Nursing," was one of the Western Journal of Nursing Research's top 10 most downloaded articles in 2009. Shapiro has earned many notable recognitions for her scholarship and professional accomplishments. She is a fellow of the American Academy of Nursing and Western Academy of Nursing. She was co-organizer for the Georgia Nursing Summit, focused on implementing the Institute of Medicine's Future of Nursing recommendations in Georgia. The Summit attracted more than 300 chief nursing officers, educators, and health care leaders from more than 70 cities across the state. She received the Emergency Nurses Association's Distinguished Leadership Award in 2004. The School of Nursing will celebrate Dr. Susan Shapiro's illustrious career during a private reception June 7, 2017. For event information and registration, click here.